I am currently working on educator recruitment and retention initiatives with the North Carolina Department of Public Instruction. I work with teacher support – mentor training, beginning teacher support, and teacher recognition. Teaching 2030:What We Must Do for Our Students and Our Public Schools – Now and in the Future. I now work with teachers instead of students, providing trainings and ensuring that beginning teachers are supported. Although I miss having my own students (my office is still in my school so I see kids all the time), working in a way that will make a difference to the profession that I love is very meaningful for me. Cindi Rigsbee is a National Board Certified Teacher in the area of English/Language Arts. 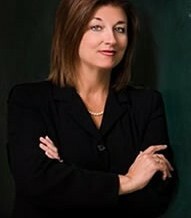 The 2008-2009 North Carolina Teacher of the Year, Cindi was a finalist for National Teacher of the Year in 2009. She works to inspire teachers by writing articles published on EdWeek Teacher as well as a book, Finding Mrs. Warnecke: The Difference Teachers Make. You can find her at cindirigsbee.com.